Dirty Little Secret is an official selection of the Newport Beach Film Festival, taking place from April 25 - May 2. Dirty Little Secret screened at Sedona International Film Festival, which took place from Feb. 23 - Mar. 3, 2019. The Dinner Guest screened at the San Luis Obispo International Film Festival, which took place in March 2019. The Dinner Guest screened at the California Women's Film Festival , which took place in January 2019. The Dinner Guest screened at the Ojai Film Festival, which took place in November 2018. The Dinner Guest screened at the IFS LA Film Festival, which took place in May 2018. The Dinner Guest screened at the NYC Independent Film Festival, which took place in May 2018. The Dinner Guest screened at the Newport Beach Film Festival, which took place in April 2018. 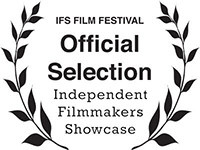 Unintended screened at the Southern City Film Festival, which took place in February 2019. Unintended screened at the Newport Beach Film Festival, which took place in April 2018. Unintended screened at the Sedona International Film Festival, which took place in February 2018. Lost Music screened at the Newport Beach Film Festival, which took place in April 2015. Lost Music screened at the Los Angeles Women's International Film Festival, which took place in March 2015. Lost Music screened at the Sedona International Film Festival, which took place in February 2015. 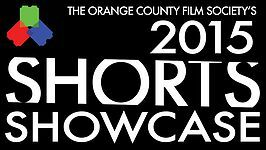 Lost Music had a special invited screening at the 2015 Orange County Film Society Shorts Showcase. Lost Music screened at the Cinema at the Edge Independent Film Festival, which took place in July 2014. Match Made screened at the Newport Beach Film Festival, which took place in April 2014. Match Made screened at the Sedona International Film Festival, which took place late February - early March 2014. Match Made screened at the Palm Springs International Shortfest, which took place in June 2013. Match Made screened at Cinema at the Edge Independent Film Festival, which took place in June 2013. 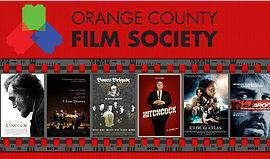 Match Made had a special invited screening at the 2013 Orange County Film Society Shorts Showcase.